The Redmi Note 5 was a very popular entry-level device that offered great value for the money, and recently the company launched a Redmi 6 Pro and Redmi Note 6 Pro. No doubt, Xiaomi wants to capitalize on that momentum with a sequel. Now the upcoming phone from the Note series appeared on TENAA. The TENAA leaks give us an idea of what to expect from next Redmi Note series phone. The upcoming handset believed to be Redmi Note 7, has now received certification from TENAA in China and the images also surfaced through listing. The listing was initially spotted by Sparrow News. According to TENAA listing, the Redmi Note 7 will have a 6.3” screen and a 3,900mAh battery. It measures 159.2 x 75.2 x 8.1mm. There are three M1901F7 model versions, but they appear identical and also there is only one color variant pictured. 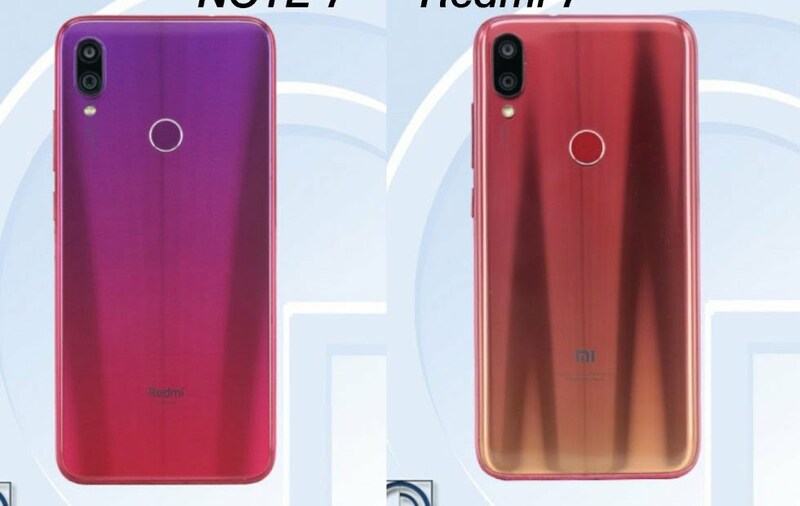 As per the new TENAA listing, both the smartphone is expected to launch with a glossy finish on the back with gradient colors that we have seen on a bunch of Honor and RealMe phones. On the rear will sit a 12 MP camera. The company has already started teasing a new Redmi phone with whopping 48MP camera that is going to launch on January 10. As the TENAA specification for Redmi 7 shows a smaller 12 megapixel camera, so the 48 megapixel sensor can be included in Redmi Note 7. Xiaomi planing to launch the device on January 10th event and we are not sure if it will be a new Redmi Pro 2 or Redmi Note 7.